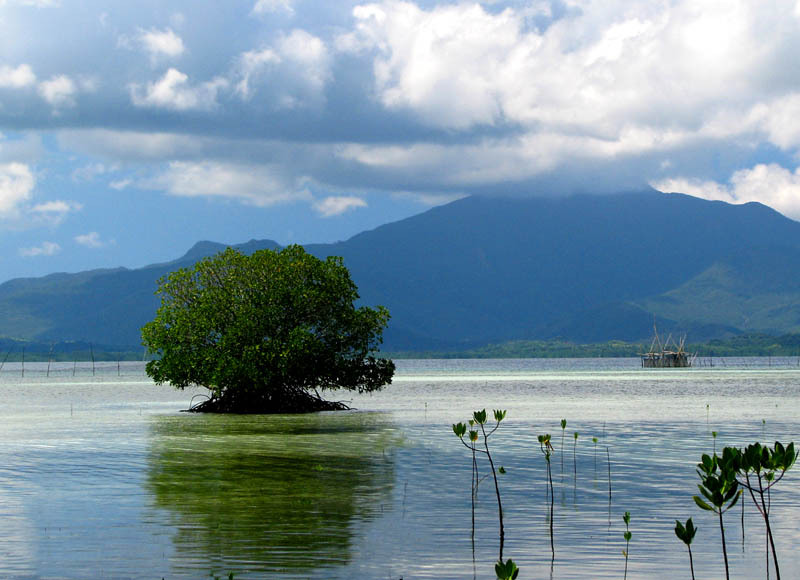 Framing the mid-eastern coastline of the capital of Palawan, Puerto Princesa City is Honda Bay. 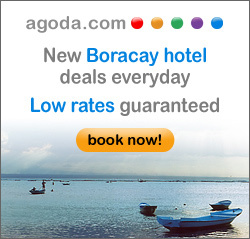 Honda Bay is comprised of several islands with shallow reefs bordering wonderful beaches on clear emerald-green waters. Though the bay contains seven low-lying islands, there are only 3 islands or islets in this bay open to the public namely Pandan Island, Starfish Island and the Snake Island. Other interesting islands are Canon, Lu-Ii Island (derived from the word “”lulubog-lilitaw””, meaning floating and sinking island, is visible only during low tide), Señorita Island (the breeding site of lapu-lapu fish) and Arreceffi Island. 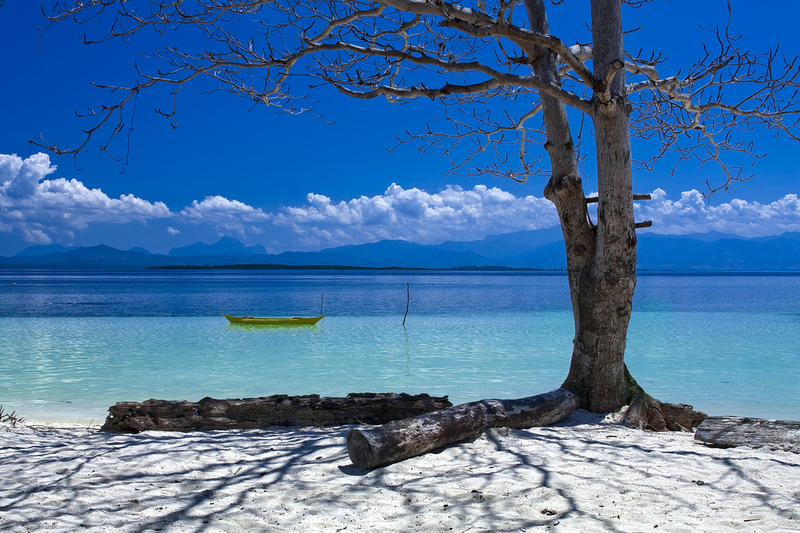 Honda Bay is a popular location for diving, swimming, snorkeling and island hopping. To get there, one will need to take a drive towards the north of the city center to the Sta. Lourdes wharf. From here, visitor will need to register and hire for boats that will bring them to the islands of their choice. Boats can be rented for the day and used for travel to the islands, many less than 45 minutes from the shore by boat. 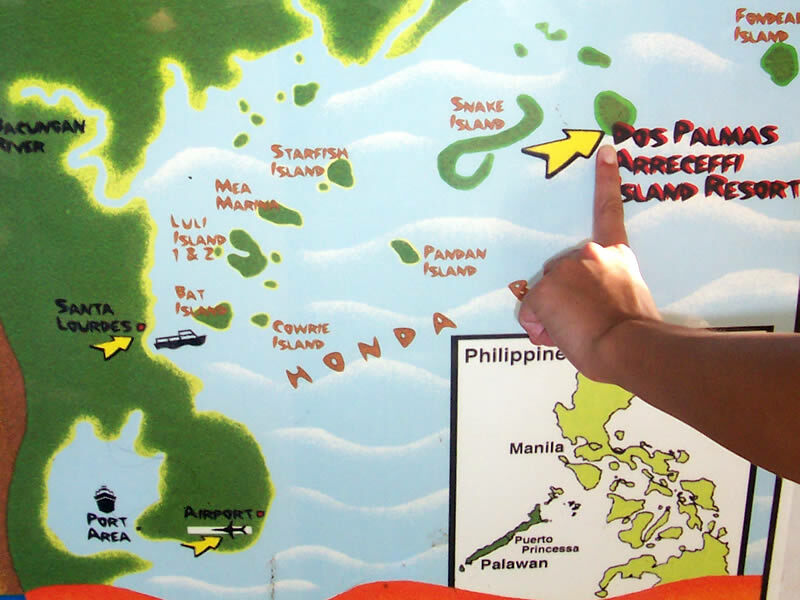 This marine sanctuary is a 15-minute boat ride from the Sta. Lourdes wharf. This reef is located in the middle of the bay where the shallow sections are about 10 feet from the coral reefs. Schools of different species of fishes and coral live around the living coral of the reef. In the middle of the reef, a floating raft marks the location where visitors may get off to freely snorkel around the reef. 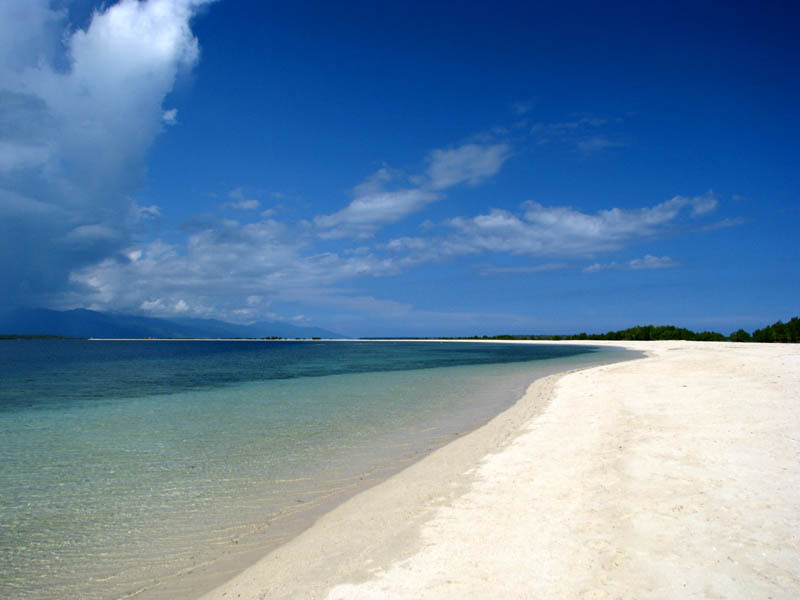 From Pambato Reef, is another 15-minute boat ride to Starfish island. Starfish island is a sand bar that is so named because of the starfishes that used to abundantly inhabit it. The island is also known by locals as Tabuan island. It is a small island with a few cottages that are available for picnicking island-hoppers. Its main island made up of white sand and is surrounded by greenish waters. Not far from Starfish Island, is another sand bar that has an long and elongated shape giving it the name of Snake Island. Mangroves grow on the southern end of the island while most of its northern section is made of white sand that stretches about 2km long. On high tide, most of its long sand bar sinks underwater. The island has cottages that are available to island-hoppers. Its greenish shoreline is rich in marine life that offers visitors a good place to snorkel. This island is located south of the Snake Island. It is an oval shaped island that is managed by the Legends group of hotels. The island offers a picturesque view of Honda Bay. 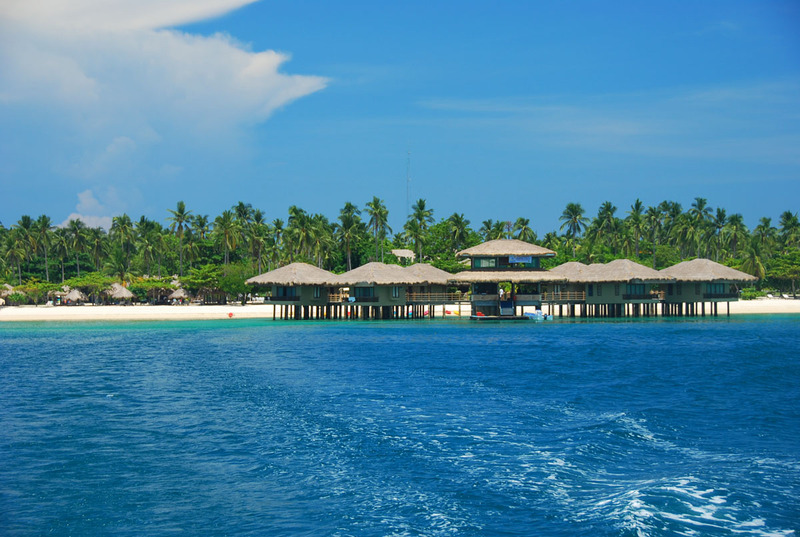 Similar to Starfish and Snake islands, Pandan island also has cottages that are available for visitors. Another sandbar in Honda Bay which has garnered its name from the local description of Lulubog-Lilitaw (meaning sinking and arising) or in short ‘LuLi’. Its sand bar is only visible during low tide, whereas during high tide only the houses on it are visible. Further east of the Snake Island is Arreceffi Island. This isolated island is owned exclusively by the Dos Palmas Island Resorts. This exclusive island paradise resort offers high end beach experience. Separate island tours are offered to enter the resort.